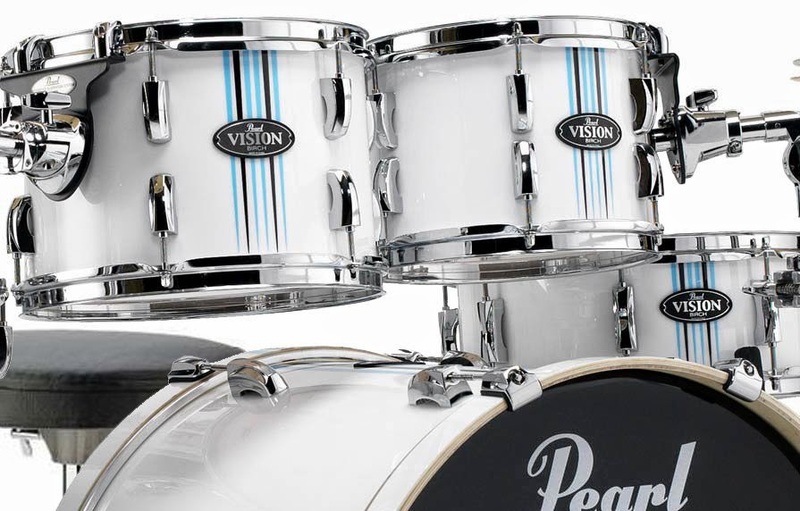 Vision VBA delivers full Pearl Birch quality in Artisan II finishes you’ll have to see to believe! 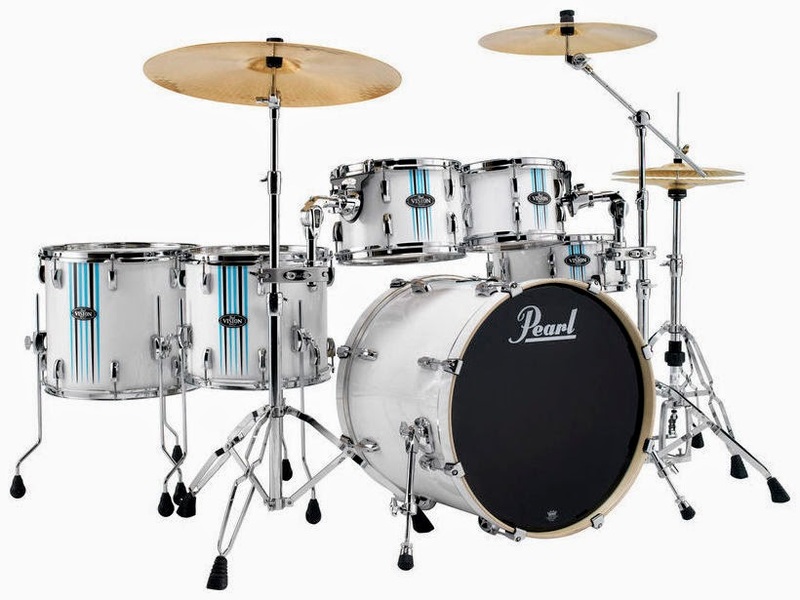 Each VBA drum kit is equipped with a special designed Artisan II finish by Pearl. All will be complemented with 890-Series Hardware Pack. Based on the new Vision-family formula, VBA drum kits feature Birch Ply shells, a striking new Badge design, and rock solid drum hardware. 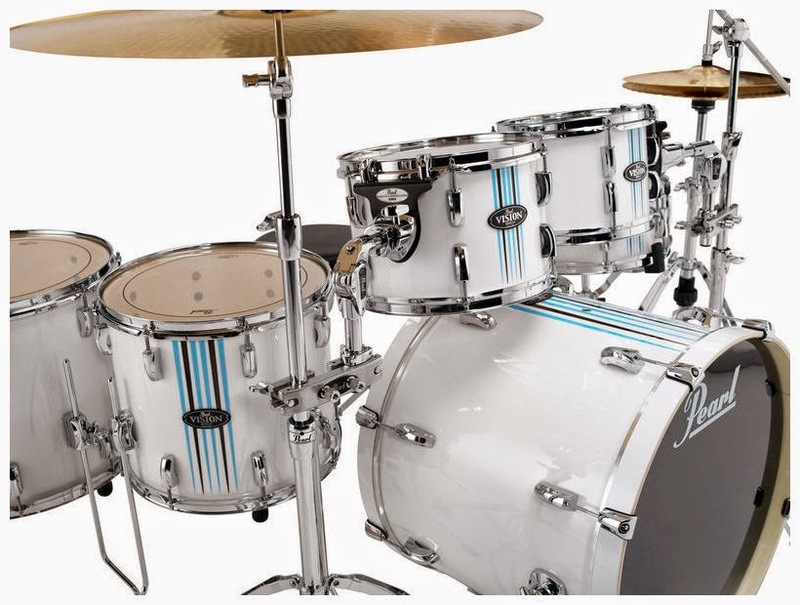 Rod Pins has found its inspiration in the Californian life style, with Blue and Black vertical pin tailed stripes on a white based finish, equipped with chrome drum hardware and featuring a black Bass drum head. Vision VBA is now outfitted with Remo Pinstripe tom batters and clear resonator heads, coated snare batter and clear snare head, and Powerstroke 3 bass drum heads for superb sound and excellent durability. Comes complete with Pearl 890-Series Hardware Pack.